It’s been a busy November, as it always is with NaNoWriMo. This year, however, I was co-municipal liaison for the Shenandoah Valley Region, with some added responsibilities, like write-ins (online and in-person) and cheerleading. On top of that, I made some changes to how my ebooks are sold, and there’s the whole holiday thing. I passed 50,000 words on November 17 and officially validated my win on November 24. This year’s NaNoWriMo was my first as a co-municipal liaison for my region, Shenandoah Valley. I had a lot of fun, met some great writers online and in person, and hope to do it again. My project this year was a bit different from my usual work. It takes place present day, instead of in the past. And a couple of interesting and unplanned things happened–NaNoWriMo just does that. First, I reached the logical conclusion the existence of my super-secret, fictional intelligence organization, The Directorate, needed to be acknowledged. Without spoilers, I’ll simply quote one of my characters, Alexei Bukharin, “The time for that secret is over.” That freshens things up a bit and adds a new protocol to any further stories about it. Second, I created a character initially for perhaps two or three scenes. I had no intention of making her a permanent character at all. Remember, your NaNoWriMo project is a rough draft. I’ve removed whole threads of plots and characters in subsequent edits. However, as I was writing what I thought was the character’s final appearance, my other character, Mai Fisher, and I recognized something interesting: This character deserved to have a future. Enter into my canon, Cybill Fleming. For now, all I know about her is she’s a Directorate operative-in-training and that Mai Fisher spotted something of herself in Cybill. This coming year while I work on publishing two books (Books One and Two of A Perfect Hatred), I’ll be fleshing Cybill Fleming out a lot more. Stay tuned. As of today, this year’s NaNoWriMo project stands at 70,776. Four days to go and four more planned scenes. I like it when a plan comes together! No, not talking about a football play or race cars passing each other. Last month I decided to take all ten of my published ebooks out of exclusive Amazon distribution. After seeing the success others had had using a service called Draft2Digital, I decided to give it a try. Coincidentally, two of my ebooks were nearing their automatic KDP Select renewal, so I “unchecked the box” and a few days later uploaded Spy Flash and Who Watches the Watchmen? to D2D. An easy process over all, though formatting was an issue in places. That is, you can’t simply take the Kindle version file and upload it; you have to make certain the formatting imbedded in the file doesn’t glitch. I’m pleased with D2D and its ease of use and may use it for the release of my second novel next April. Not long after, three more ebooks were due to automatically renew in KDP Select. I unchecked those boxes too. Now, the ebooks of my novellas My Noble Enemy and The Yellow Scarf, as well as my first novel, A War of Deception, have wider distribution. Let me say, I have nothing at all against Amazon’s distribution of my paperbacks and ebooks. KDP Select is optional; however, it is one of those “opt in” processes with an automatic renewal unless you take a physical action to change it. As with the new directions my NaNoWriMo projects took me with my characters, my other books will be going off in new directions as well. No flames please. December happens to be the month where a lot of religions celebrate winter holidays. Unlike KDP Select, I don’t want to be exclusive, rather inclusive. I’m not a fan of the winter holidays. Lots of bad childhood memories abound, and the crass commercialism turns me off. The holidays also take a lot of time away from writing, but family is family. I’ll do the shopping, I’ll wrap the gifts, and I’ll take delight in watching my grandchildren unwrap their presents. As six-year-old Emory says, “It’s about giving not getting.” Love her. What holiday traditions do you fondly remember? What are those you’d just as soon forget? No, the title’s not a typo. Authorgraph was formerly Kindlegraph, a site where authors can promote their books and offer signatures for eBooks. All three of my books’ pages (click on the Published Works tab above) now have an icon, which you can click to take you to Authorgraph.com. There, you can request I “sign” your eBook of Blood Vengeance, Fences, or Spy Flash. The personalized signature and message comes to your eReader’s e-mail account. If you can’t make it to a book signing I’m having, this is a virtual one. Give it a try. You might find other authors–including famous ones–participating. I look forward to “signing” your copy! It’s My Birthday, and I’ll Cry if I Want to! Seriously, today is my birthday. A significant one. One you don’t look forward to, but considering the alternative, I’ll accept that I’m leaving a specific decade behind. And, no, I won’t say which one. It’s been a great week–the two eBooks of the updated, revised, polished short stories from my 2000 print collection, Rarely Well Behaved, are now available for your Kindle or Kindle App. That was exciting; just as exciting as when the book itself came out nearly twelve years ago; perhaps more so because I had to transcribe it, edit it, and format it myself. Now comes the hard part–all that self-promotion that makes me cringe. Just think of all the “buy my book” Tweets as a necessary evil. 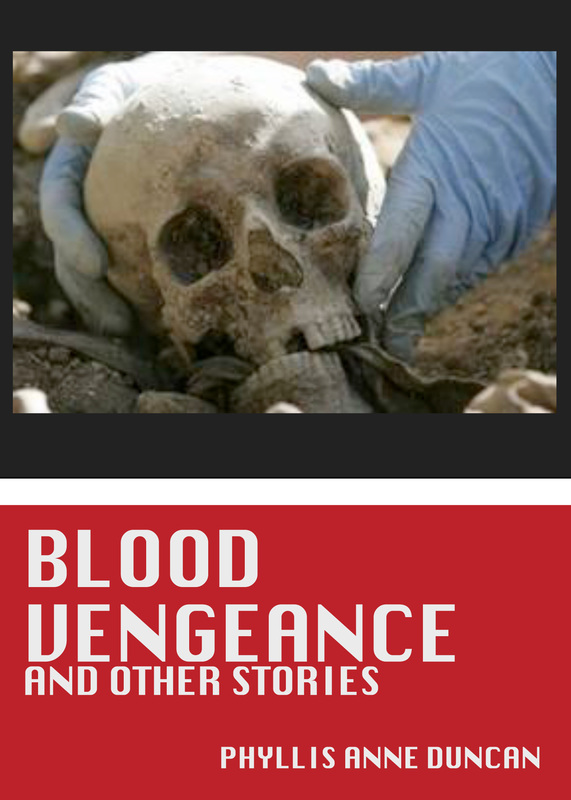 Regardless, both books–Blood Vengeance and Fences–are uploaded, and if you look at the sidebar to the right, you can buy them both by clicking on the image. If you happen to buy them, I can send you a message and a signature through Kindlegraph–who’ll be first? Before I get into the topic for the provocative title of this post, let me take your time to discuss a few blogging changes. If you come here on Wednesdays to see “Politics Wednesday,” well, I’ve changed things around again. I’ve decided to separate my political blogging from my writing blogging–not because I’m ashamed of either or because I don’t want them to be associated, but because logistically it makes sense. For months I’ve been putting the same post on this WordPress site and on a Blogger site. That led to a lot of confusion, not to mention work. For me. People have often commented that they like both sorts of postings, some like only the political, and some like only the writing. Now, it’ll be easier for me and for the reader seeking just one type of post. From now on, this site remains as “Unexpected Paths,” and will feature my posts about writing and the writing life on Mondays and Fridays. So, if you visit here to read the writing posts, you don’t have to do a thing. However, if you want to see my political commentary, you’ll have to go to my Blogger site and follow “My Musings” there. Now, on to eBook formatting. I recently transcribed my print book Rarely Well Behaved, published in 2000, and separated it into two files for two eBooks. I finished polishing and editing, had someone proofread, got eBook publishing advice from an experienced indie author, downloaded an excellent guide for formatting your file for eBook publication, spent several hours Saturday night following that guide to the letter, uploaded the first book, Fences, did a preview, and was discouraged beyond description. Despite my careful following of directions (anyone who knows me, knows I operate from checklists), there were a plethora of formatting errors. Now, I could have been the typical indie author and clicked on “Submit,” but I withdrew the file, went back over the formatting process, and uploaded it again. (No offense intended. I’ve found from reviewing indie published books, the conscientious indie authors are atypical.) The same formatting errors prevailed. I took it down again, and did a Scarlett O’Hara–as in, thinking about it tomorrow, because tomorrow is another day. Now, it’s two days later, and I’m about to give it another try. The issue may be that the guide was written for MS Word for Windows, and I have Word: Mac. This guide is excellent, as I said, because it includes illustrations for various formatting menus, i.e., “This is what it should look like.” But they are slightly different in the Word for Windows and Word: Mac versions. In some cases, I had to give it my best guess. The other issue is the file you upload goes through a conversion program, in my case, to make the file viewable on Kindle. (Smashwords, for example, calls its conversion program the Meatgrinder. How apt.) That means you can have some basic formatting–e.g., font type and size, first line indents, and centered text–but not much more. One indie publishing friend who received a discouraged DM from me suggested perhaps I’d left in the “curly quotes” instead of using “straight quotes,” and that may have caused the formatting issue. The formatting problems did involve multiple lines of dialogue; all lines of dialogue were indented, instead of the second line’s being flush left. Today, then, is attempt number three, from the beginning through 30 steps and uncounted sub-steps and then another upload and preview. Wish me luck. If it doesn’t work this time, I may have to resort to something drastic. Like hire a professional. Choose the Cover of My New eBook! I initially intended to transcribe my collection of short stories published in print in 2000 (Rarely Well Behaved) and re-issue it as an eBook, but, of course, I had to tweak. I refreshed all the the stories and merged a couple of them into a novella length work and handed the file off to my proofreader. She had a wonderful idea–split the book up into two or more eBooks by type of story. The result is Fences, which includes the literary short stories and some sci-fi/spec-fi/magical realism stories (See the cover in the right sidebar under “Update About the Update.”), and Blood Vengeance, which includes the espionage/thriller/suspense stories. 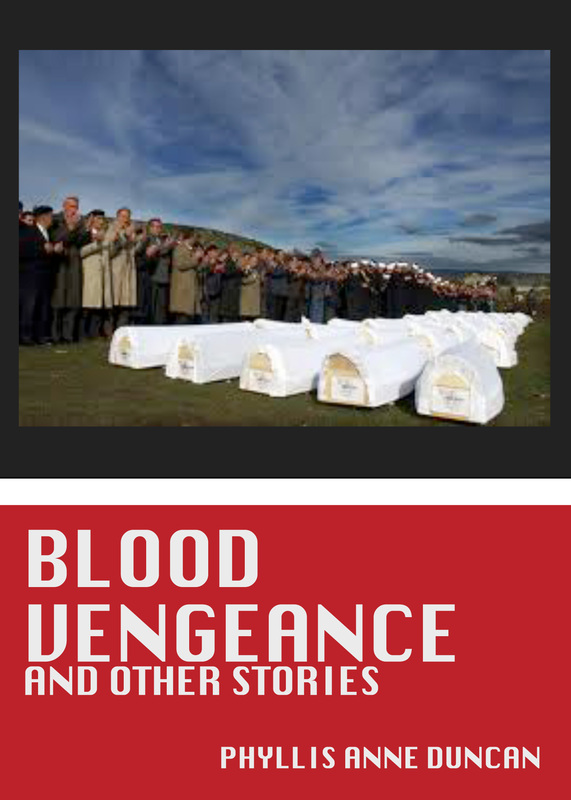 The cover forFences is pretty logical and set, but I need a little help in deciding on a cover for Blood Vengeance. Two of the stories in that volume involve the war in the Balkans in the 1990’s. The title story and another entitled “Giving the Dead Back Their Names” deal with the aftermath of ethnic cleansing events there. The latter story involves the forensic identification of the remains of the massacre at Srebrenica. The title story involves getting revenge for a massacre of men and boys in a small village. Take a look at the possibilities below and leave a comment about which you prefer, or you can just leave the comment “Skull” or “Coffins,” per the captions, and I’ll know which one you mean. I’ll put all the names of commenters in a hat and let one of my grandkids pick a name to receive a signed postcard of one of my Friday Fictioneers’ stories. You have until April 22 to choose. I know which one I’m leaning toward, but I think it will be fun to get some additional input. Thanks for helping out! I love it when people buy your book then send you an e-mail telling you they love it. That made my writerly week, I tell you. My collection of short stories is almost twelve years old, but the stories still resonate. That’s what every writer wants, to have people find their work meaningful. I’ve recently transcribed that book, Rarely Well Behaved, so that I can publish it on Amazon as an eBook. My proofreader had a wonderful suggestion: break it up into two or three eBooks with stories of the same genre in each book. What a great idea. I got started on it right away. At my local writers’ group (SWAG Writers) open mic on Wednesday, I read a short piece which was a flash fiction exercise to write a story about an article of clothing. As soon as I saw the exercise, I remembered my mother complaining about the prosthetic bra she was supposed to wear after her mastectomy some thirty years ago, and the story happened. After I read the story, women in the audience, and a couple of men, came up to me to tell me how meaningful it was to them. So, all in all, a good week for the writer-me, and now it’s capped off by Friday Fictioneers! 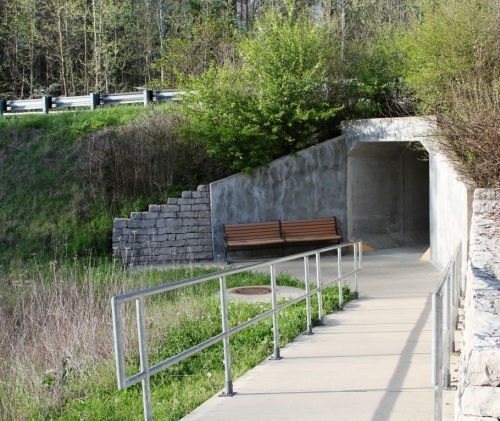 He lured the child into the tunnel with the promise of Harry Potter. “It’s like the train station. You go through the wall to get to the Hogwarts Express,” he said. “Come on, if you want to see. He knew she followed him without question; he was her father’s friend. “You’re not afraid of the dark, are you?” he asked, midway through the tunnel, where no one would see. He spun around at the sound of an adult’s voice. She willed the disguise spell away and stood before him, a warrior now, with a blade. If you want to read more 100-word flash fiction by other Friday Fictioneers, go to Madison Woods’ blog.